Our Outdoor Education program aims to provide a variety of experiences considered essential to the total development of each student. Throughout their schooling, the Christian ethos of the College is embraced with school camps aiming to develop leadership and persistence in the face of challenging situations, and a closer relationship with God. Our extensive and vibrant camping program provides great opportunities for all children to grow. In addition to compulsory year level camps, various secondary school subjects may embark on expeditions like the Year 11 biology camp. Camp Warrawee. 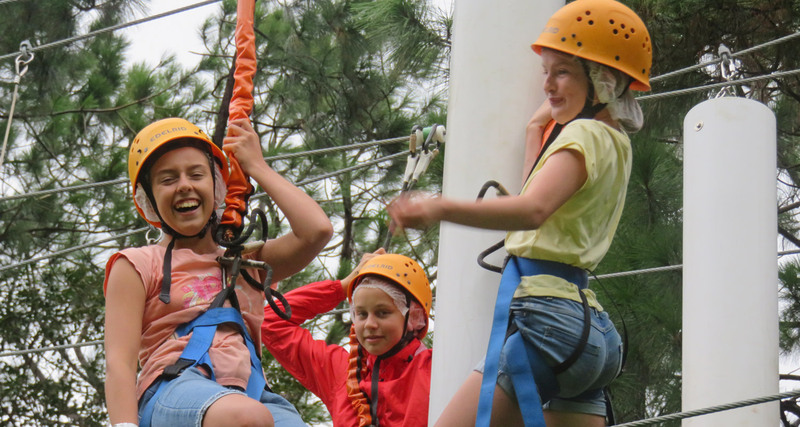 The Year 3 Camp is a centre-based camp featuring a range of activities including Teacher-guided camp orientation, Geocaching, Initiatives, Garden Cottage Program, Giant Swing, Possum Glider, Rock Climbing and Tyre Tubing. Students will be encouraged to participate in both challenging activities and enjoyable whole-group activities to help them overcome their fears and to develop trust and respect with their peers. The camp should also provide the opportunity for students to develop new friendships. 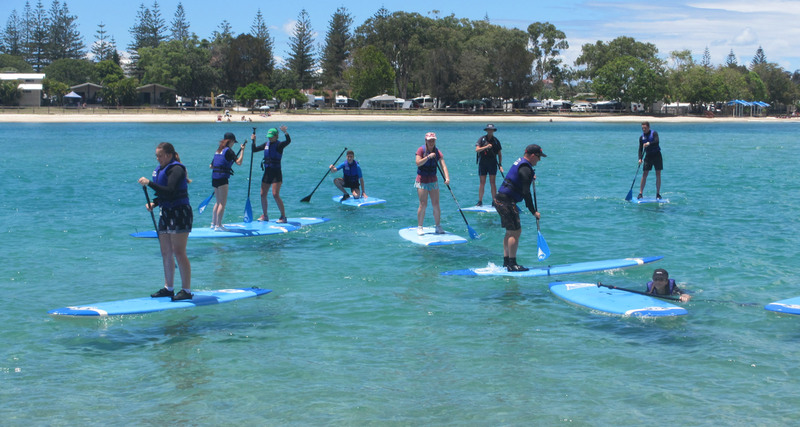 All of these activities will be closely supervised by the experienced instructors from Camp Warrawee and by College staff. Somerset. The Year 5 Camp is a centre-based camp featuring a range of activities including archery, raft building, crate climbing, orienteering, canoeing, low ropes and tree climbing. Students will be encouraged to participate in both challenging activities and enjoyable whole-group activities to help them overcome their fears and to develop trust and respect with their peers. The camp should also provide the opportunity for students to develop new friendships and get to know their teachers. Our newest secondary school enjoy the opportunity to get to know each other and their teachers at a two night, three day camp at Luther Heights. 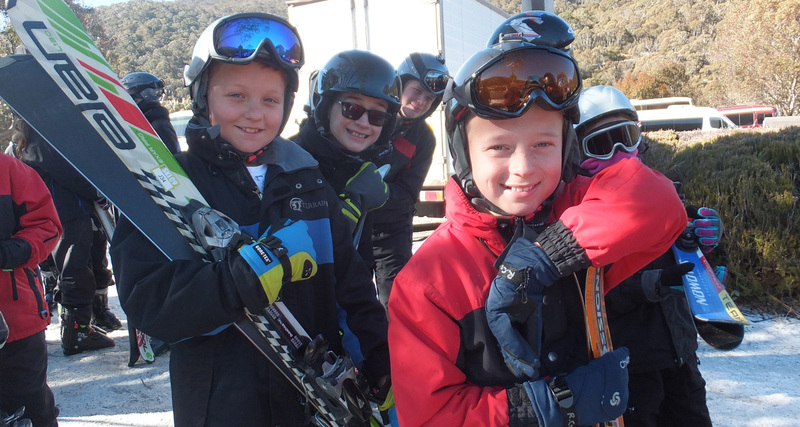 The Year 7 camp is a centre-based camp featuring a range of activities including beach games, boogie boarding, riding a flying fox, canoe building, scavenger hunt and team challenges. Students will be encouraged to participate in both challenging activities and enjoyable whole-group activities to help them overcome their fears and to develop trust and respect with their peers. 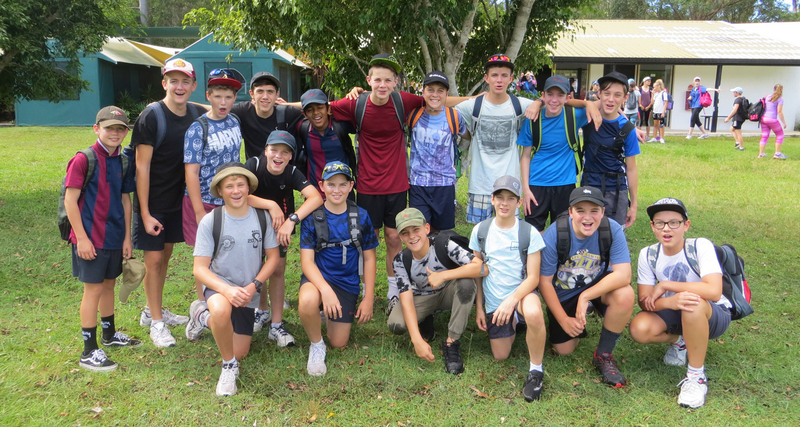 Year 8 students get sandy at Noosa Northshore when they embark on their camp, run by Total Adventures. The camp extends over three days and two nights. There is a heavy focus on working together as a team, building resilience and uniting as a cohort. The Year 9 Camp experience is designed to complement The Rite Journey Program in fostering students’ independence as they transition to Senior school. This expedition-style camp program will include hiking, a camp out, bush skills, initiative-taking activities, geocaching, a flying fox, a giant ladder climbing activity, a vertical play pen activity and an overnight duo experience. 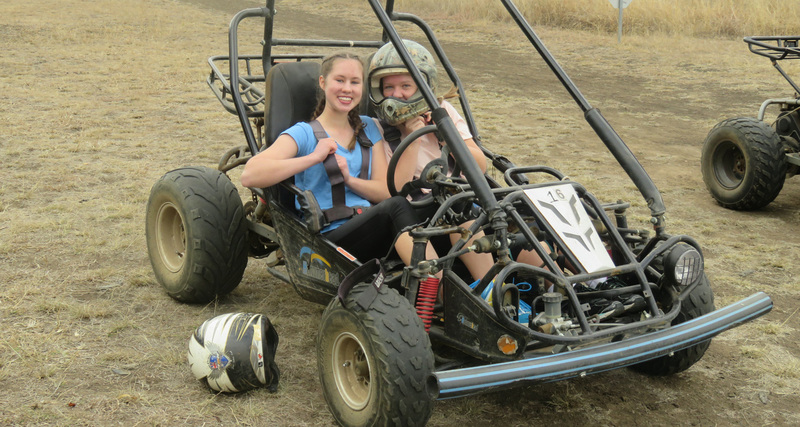 All of these activities will be closely supervised by the experienced instructors and by College staff. The camp aims to create an immense feeling of satisfaction and achievement. It is hoped that students come away with a different perspective of their capabilities and outlook on life. The Year 10 camp is a 3 day, 4 night camp held at Bornhoffen PCYC, Natural Bridge (near Nerang). Students participate in a range of activities including hiking, canoeing, abseiling, creeking, problem solving, high ropes and raft building. 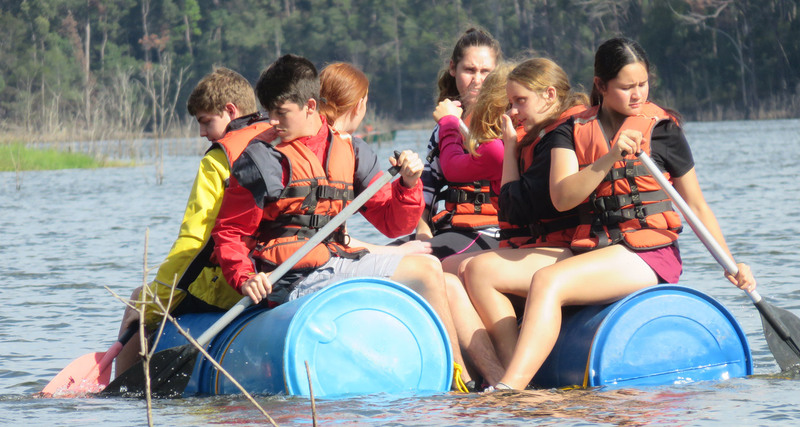 This camp encourages students to participate in both challenging activities and enjoyable whole-group activities while helping them overcome their fears and to develop trust and respect with their peers. Throughout the camp, students have the opportunity to develop new friendships and to get to know their teachers with the goal of settling into Year 10 more effectively. encourage students to extend their limits, developing character through successfully managing challenges. encourage students to assume responsibility for themselves and, where necessary, for others. develop leadership skills and offer opportunities for students to demonstrate their leadership capacity. This camp aims to foster leadership and team building and is held at the Christian Youth Camp (CYC) in Burleigh Heads. Students can look forward to participating in a wide range of activities including a variety of water and beach activities at a patrolled beach. Most years, students have the privilege of having key note speakers address the group. In 2018, students enjoyed having Graham Hyman from ‘Youth Specialties Australia’ run key sessions.